The "it" in the gin and it cocktail is Italian sweet vermouth. This is a very simple and sweet gin martini that is easy to fall for, particularly if you don't like your martinis dry. It is traditionally served un-iced, which is another departure from the classic gin martini. The gin and it cocktail has been around for more than a century. 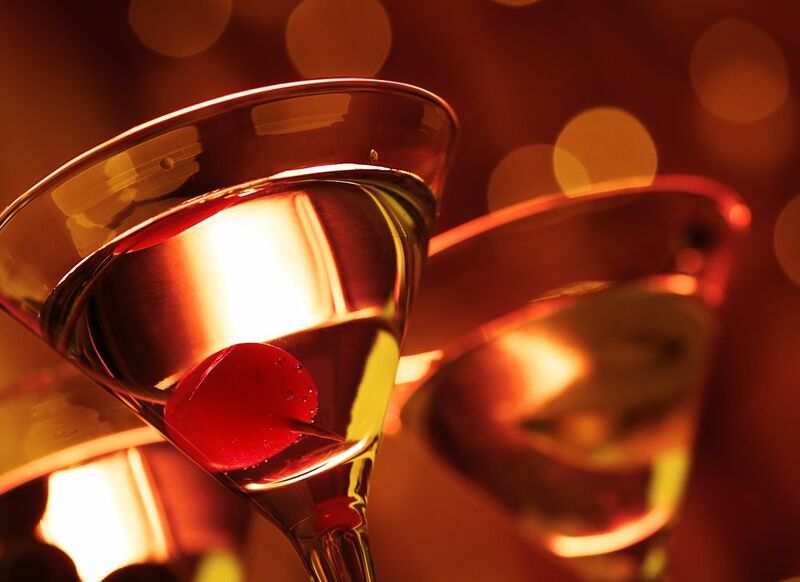 It was often called the sweet martini and has been reported as a common pub drink, first in New York bars and then in London. The name "gin and it" appears in the 1948 book "The Fine Art of Mixing Drinks," showing that this name has been around at least since the Greatest Generation battled in World War II. Vermouth is a fortified wine flavored with botanicals and herbs, originally developed as a medicinal tonic. Italian vermouth is traditionally sweet and red in color, while the French vermouth used in the martini is dry and clear. Sweet vermouth was actually developed a couple of decades before dry vermouth. As with gin, each brand of sweet vermouth will have a different character as different herbs are used. Pour the vermouth directly into a cocktail glass without ice. Traditionally, you would use either one or three cherries, never an even number. The ratio of gin to sweet vermouth varies wildly in older recipes. Some have equal parts sweet vermouth and gin and there are even those that have a 4-to-1 ratio of sweet vermouth to gin. However, it is more common nowadays to see recipes where there is more gin than vermouth. For this recipe, the recipe is 1-to-2 sweet vermouth to gin. Feel free to change up the ratio to one that suits your taste. Go ahead and drink "It" up. Besides changing the ingredient ratio, many recipes also add a dash of orange bitters. You might also discover that you prefer this cocktail iced. You can stir it with ice in a mixer and pour it into the cocktail glass. How Strong Is the Gin and It? Like the martini, the gin and it cocktail is not a light drink, which is why it is served short. The alcohol components are not diluted by any mixers. Sweet Italian vermouth is often 15 percent alcohol by volume (ABV). The cocktail already has 1.5 ounces of 80-proof (40 percent alcohol by volume) gin, which constitutes a standard drink. Put the two together and the gin and it cocktail weighs in right around 31 percent ABV (62 proof). That is strong, so you should pace yourself when having this cocktail.